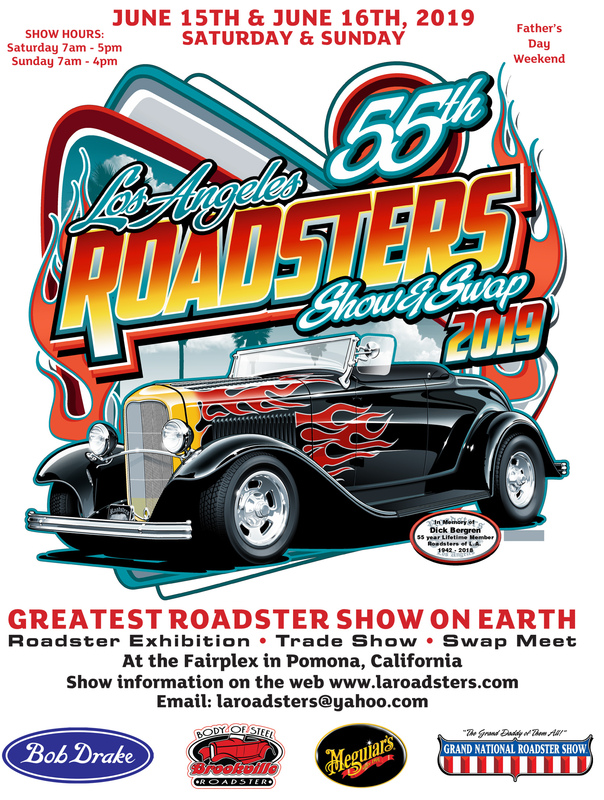 The L.A. Roadsters Club is once again managing the 2019 Roadster Show and Swap. 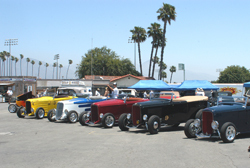 The 2019 show will be held on Saturday, June 15 and Sunday, June 16, 2019 at the Fairplex in Pomona, California. Move-in is Friday 7:30 am to 4:00 pm. Large trucks and trailers can move-in Thursday afternoon. No Saturday or Sunday move-in. Commercial exhibitors will enter through Gate #15 off Arrow Highway. All Commercial Exhibitors need to be Pre-Registered before the Show Date. Download Commercial Exhibitor Reservation Form. All exhibitors must have a Seller's Permit issued by the State Board of Equalization and a completed form BOE 410-D. Visit their website at http://www.boe.ca.gov or contact by phone at (626) 480-7200 for more information. The show will close on Sunday at 4:00 pm. For safety reasons, vendors cannot tear-down their exhibits until the show closes after 4:15 pm and all spectators have left the showgrounds. Vendor trailers will be allowed to enter the show at 4:15 pm from the vendor parking area through Gate #15. Parking passes will be issued as requested.